Beneath the Pacific Ocean a volcano surges upward, carrying in its fiery heart a mineral more powerful than uranium. When the volcano breaks the ocean's surface, nations will battle to control what is known as Vulcan's Forge - a source of limitless, clean, nuclear power. 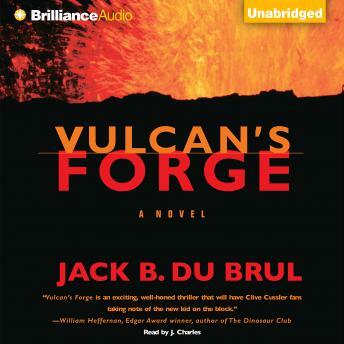 The secret of Vulcan's Forge begins to unravel when Mercer, a man of many talents now working for the US Geologic Survey, learns that the daughter of an old friend is in danger. Saving her takes Mercer from the Oval Office to a secret submarine off Hawaii. On the islands, a secessionist movement has turned violent and the US trembles on the brink of a civil war, while behind the scenes, shadowy figures jockey for control of the emerging volcano.